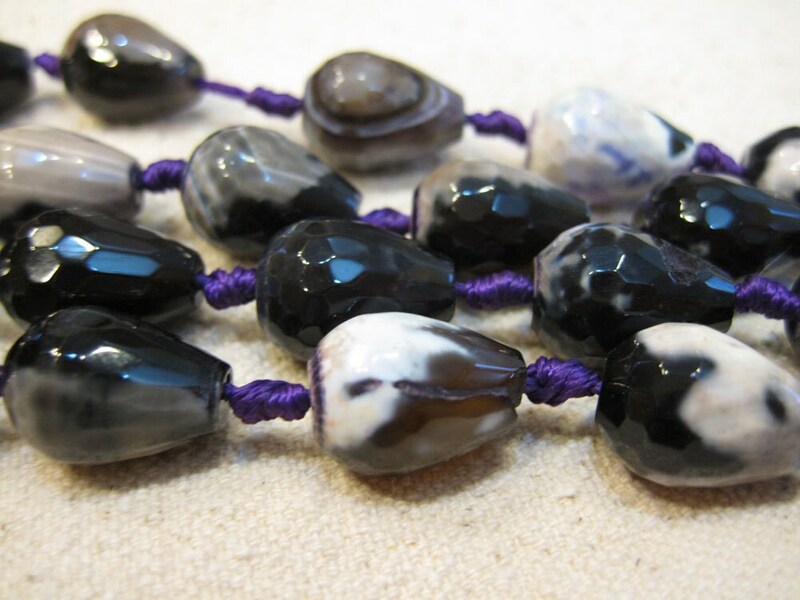 Beautiful faceted agate teardrops dyed purple and black. Each 8 inch strand has 8 beads. These make great earrings. Size is 16mm x 12mm. Each stone is a bit different pattern. All are gorgeous!